When Simon Ghanimian came to the United States as a young man, his love of engineering and family connections to jewelry intertwined to make one of the most creative jewelry brands in the world. The Simon G. brand is synonymous with not only quality, but a certain harmony of Old-World and New-World traditions. When you’re looking for wedding bands that speak to your desire for diamond-studded perfection, look for Simon G. wedding bands. Here at BARONS Jewelers, we are proud to be an authorized dealer of this timeless brand, and our collections of their bridal jewelry is second to none. What sets the Passion collection of Simon G wedding bands apart? Made to accompany a gorgeous engagement ring, the bands from this collection have gently swooping shapes that are absolutely studded with the highest-quality diamonds that the esteemed designer could source. Or, if you prefer a wedding band that has its own stand-alone ability to engage the senses, check out the Vintage Explorer collection, which includes pieces made to look like delicate flowers growing in different tones of gold across trellises. Nobody does the modern Art Nouveau look quite like the gold-and-diamond artisans at Simon G.
If you’re a woman who really loves diamonds, the Simon G Nocturnal Sophistication collection might be perfect for you: Featuring wedding bands that are so densely pave-set with VS2-quality diamonds, the elegance of the Nocturnal Sophistication collection is perfectly made for the intimacy of dinners on the town. The pave setting captures any light from candles or the moon and creates an endless glowing stream of light on a woman’s hand. And don’t forget that Simon G. also makes an incomparable line of men’s wedding bands. 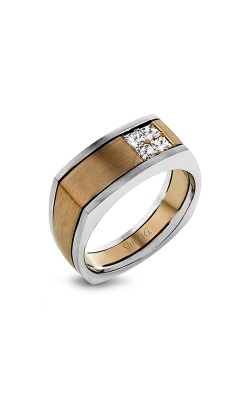 The stylish “multi-layer” designs that Simon G. builds into its men’s wedding bands are famous for their pairings of different metal tones and textures (such as hammered gold next to satin-brushed patterning). 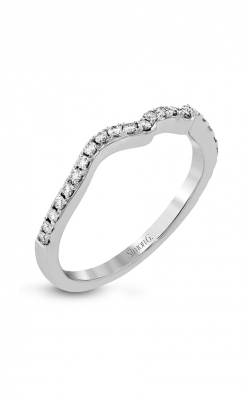 Why Shop for Simon G Wedding Bands at BARONS Jewelers? BARONS Jewelers is a fixture of Dublin, California, and our showroom has been the location where couples have made their happiest days perfect for over 50 years. Coming from as far as San Francisco, brides- and grooms-to-be trust the expertise of BARONS Jewelers to point them toward the Simon G. wedding bands that match their tastes. We are also an authorized retailer for many other esteemed bridal jewelry brands, as well as for designers of fashion jewelry. Fashion rings, necklaces, earrings, and bracelets, BARONS Jewelers has the piece for you. And to keep your new treasure sparkling for decades to come, come in today to enquire about our repair and maintenance services!